COLORADO SPRINGS, Colo. – USA Hockey today announced the 75 players who have been invited to the 2018 USA Hockey Women’s National Festival, which will take place Aug. 6-13 at the Olympic Center in Lake Placid, New York. The list includes Abbey Murphy (Evergreen Park) on the U18 roster and Jesse Compher (Northbrook), Mikaela Gardner (Plainfield) and Savannah Harmon (Downers Grove) on the Over-18 Blue Team. The festival is an annual event that will also be used to select two, 22-player select team rosters for a pair of series against Canada to be held simultaneously Aug. 16-19 in Calgary, Alberta. The players invited include five members of the gold medal-winning 2018 U.S. Olympic Women’s Ice Hockey Team – Cayla Barnes (Eastvale, Calif.), Kali Flanagan (Hudson, N.H.), Megan Keller (Farmington Hills, Mich.), Kelly Pannek (Plymouth, Minn.) and Maddie Rooney (Andover, Minn.) – in addition to Annie Pankowski(Laguna Hills, Calif.), who was a member of the 2017-18 U.S. Women’s National Team. All total, 18 different states are represented among the 75 athletes. The Festival will also feature 14 members of the U.S. Under-18 Women’s National Team that won gold at the 2018 International Ice Hockey Federation Under-18 Women’s World Championship, including 10 that will return to the under-18 player pool – Hannah Bilka (Coppell, Texas), Hadley Hartmetz (Phoenixville, Pa.), Katelyn Knoll (Amherst, N.Y.), Abbey Murphy (Evergreen Park, Ill.), Maggie Nicholson (Minnetonka, Minn.), Casey O’Brien (Milton, Mass. ), Makayla Pahl (Rochester, Minn.), Dominique Petrie (Beverly Hills, Calif.), Sydney Shearen (Hugo, Minn.) and Makenna Webster (St. Louis, Mo. ), and four that have advanced to the over-18 player pool – Britta Curl (Bismarck, N.D.), Taylor Heise (Lake City, Minn.), Gracie Ostertag (Shakopee, Minn.) and Madeline Wethington (Edina, Minn.). A total of 31 U18 players were selected for the Festival and all participated in one of the three USA Hockey Girls Player Development Camps staged in June and July, including five that emerged from the Girls 15 Player Development Camp in St. Cloud, Minn. – Peyton Hemp (Andover, Minn.), Vivian Jungels (Edina, Minn.), Sadie Lindsay (Minnetonka, Minn.), Skylar Vetter (Lakeville, Minn.) and Haley Winn (Rochester, N.Y.). A complete roster (42 forwards, 26 defensemen and seven goaltenders) and schedule are available here. NOTES: All practices and scrimmages associated with the 2018 USA Hockey Women’s National Festival in Lake Placid, N.Y., will be open to the public. 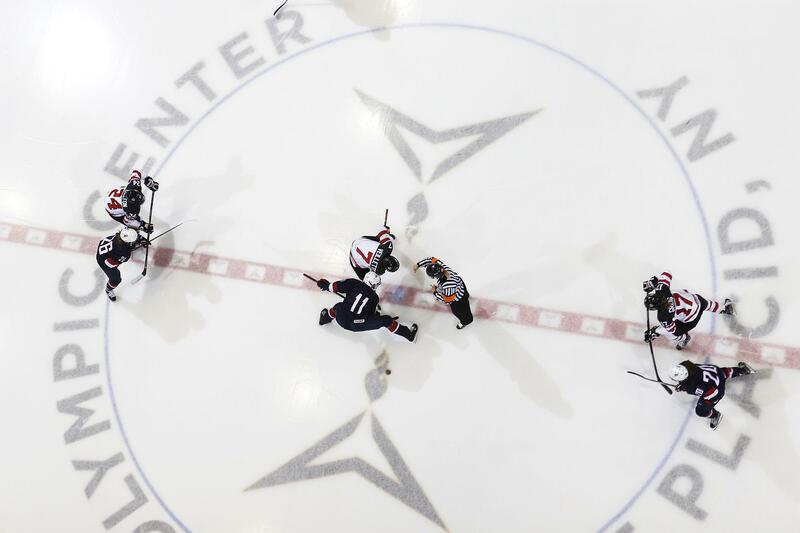 For the full schedule, click here… The final rosters for both the U.S. Under-18 Women’s Select Team and U.S. Under-22 Women’s Select Team that will play Canada Aug. 16-19 in Calgary are expected to be announced Sunday, Aug. 12… Maura Crowell (Mansfield, Mass. ), head women’s ice hockey coach at the University of Minnesota Duluth, is serving as head coach for the U.S. Under-18 Women’s Select Team alongside assistant coaches Josh Sciba (Westland, Mich.), head women’s hockey coach at Union College, and Brianna Decker (Dousman, Wis.), member of the gold medal-winning 2018 U.S. Olympic Women’s Ice Hockey Team … Joel Johnson (White Bear Lake, Minn.), associate head coach for the University of Minnesota women’s ice hockey program, will serve as head coach of the U.S. Under-22 Women’s Select Team alongside assistant coaches Bob Corkum (Salisbury, Mass. ), former assistant coach of the NHL’s New York Islanders, and Katie Lachapelle (Shrewsbury, Mass. ), associate head women’s ice hockey coach at the College of the Holy Cross. For a complete staff listing, please click here… Series games will be streamed live at HockeyTV.com. ‹ Become an Official! Registration Now Open!